Popovers are light and fluffy and perfect for serving with any comfort food dinner. Just 5 ingredients and only 5 minutes prep to get them into the oven, makes these super easy popovers! 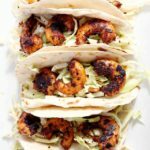 As much as I love to cook, and envision preparing fun and exciting meals for my family each night, there are some nights when I just don’t feel like it, or have the time. 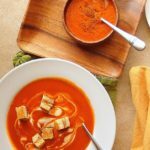 There are some nights when we happily eat cereal for dinner, or even (gasp!) leftovers. There. I said it. I hope you’ll find it in your heart to forgive—wait. What? Sometimes you don’t cook either? You understand? Wow. Thanks, friend. I feel so much better. Now on those nights that I don’t have the time to cook a big meal, or I am recycling dinner from another night, I try to make a little something fresh to go with it. These super easy popovers fit the bill nicely. 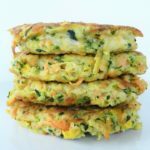 Think of them as a cross between fresh bread and a crepe. 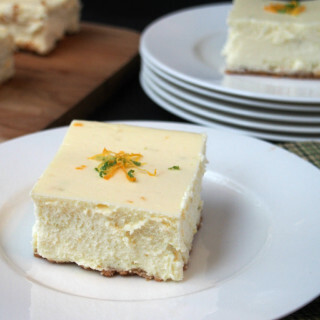 You only need 5 ingredients, and 5 minutes to get them in the oven. What could be better than that? And popovers go with pretty much everything. They are at home along side a steak, chicken, or as we had last night, bacon and eggs. Preheat the oven to 375 degrees. 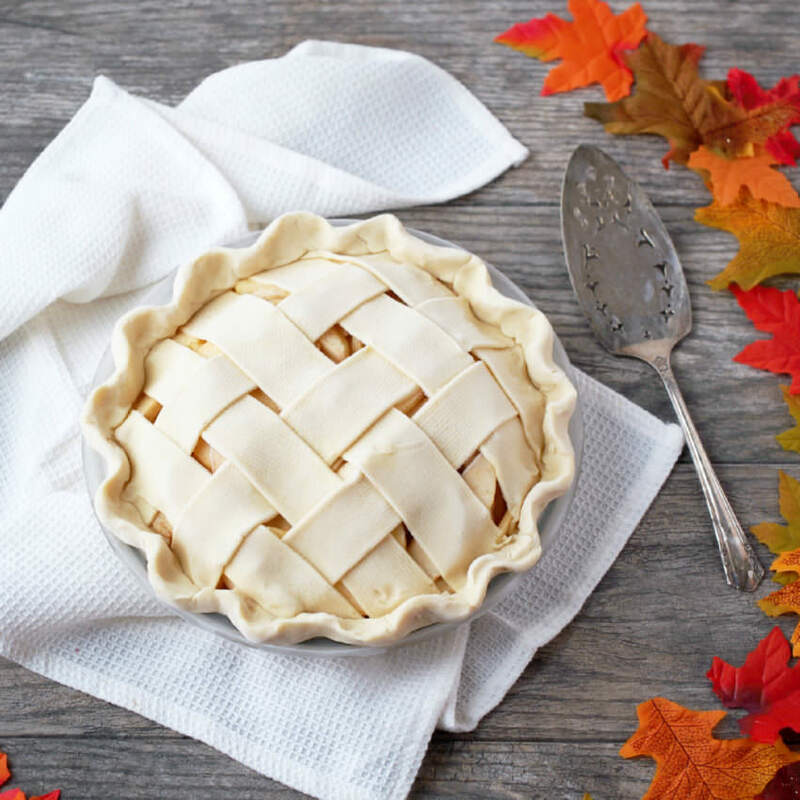 Then we’ll tackle the hardest part of this recipe. I know, I know! 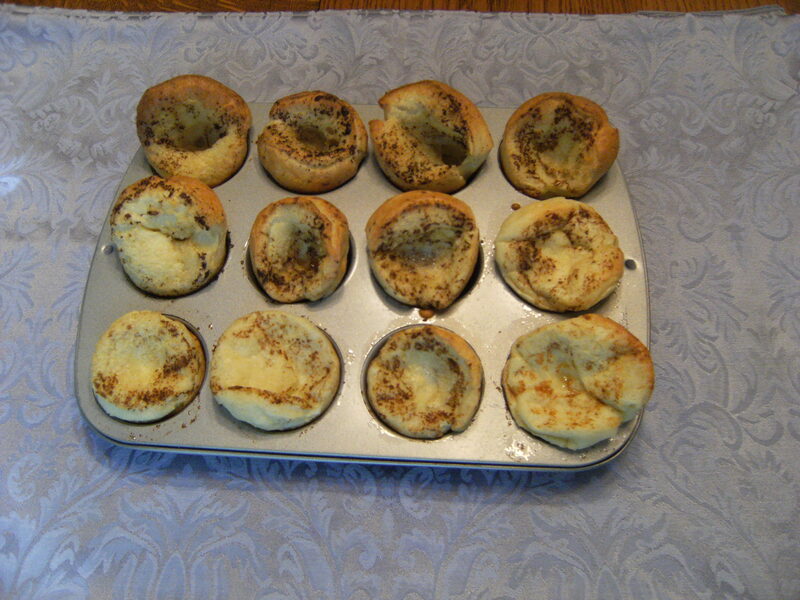 I said these were super easy popovers, and they are–promise! 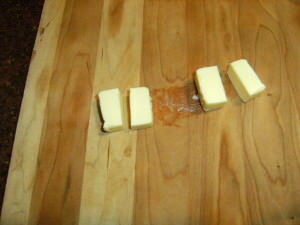 Probably the most difficult part of this recipe is dividing the butter into 12 equal portions (about 1 tsp. 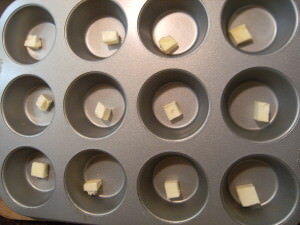 each) to put into each cup of the muffin pan. Start by cutting 2 Tbs. off of a stick of butter, based on the markings printed on the wrapper. 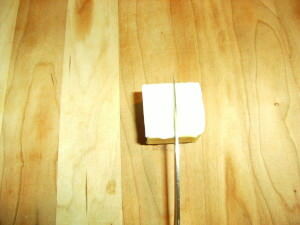 Then cut the little 2 Tbs. cube in half. 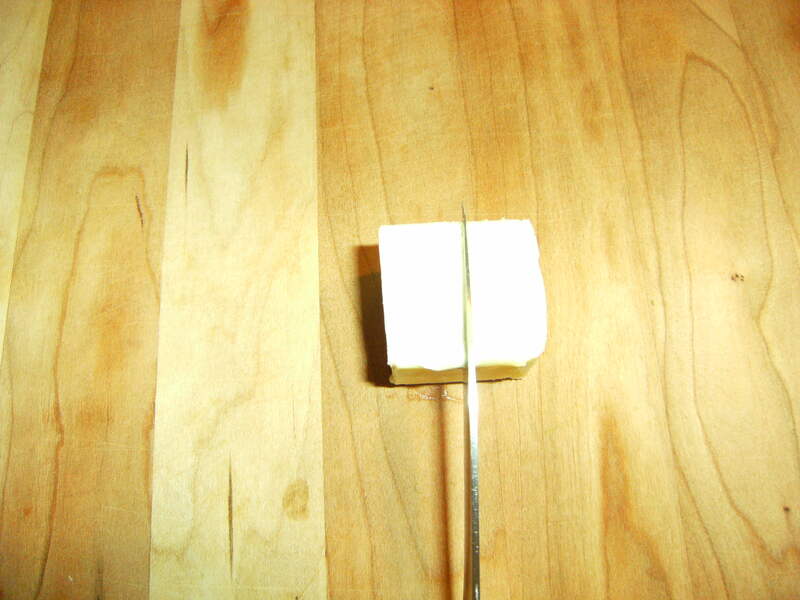 Now, cut those halves in half to make four pieces. Stay with me, we’re almost there! Cut each of the 4 pieces into 3 equal pieces to make 12 (relatively) equal pieces. 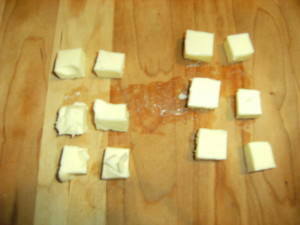 Put each piece of butter into one of 12 cups of a muffin or popover tin. Put the tin in the preheat 375 degree oven for 2-3 minutes, until melted. I suggest setting a timer for this so that you don’t forget about it. I’ll tell you why in a few minutes. While the butter is melting in the oven, whisk together the eggs and milk until they are well blended. Add a pinch of salt, and whisk that in too. Add the flour, and you guessed it! 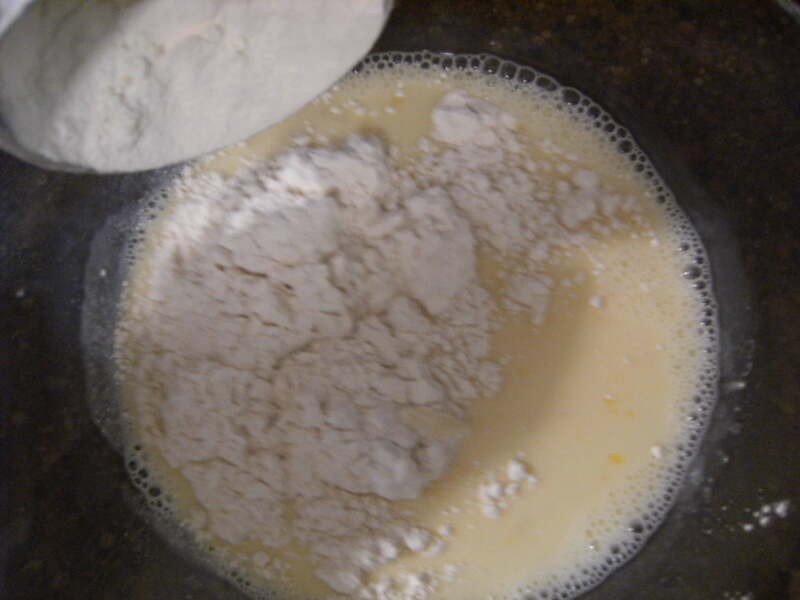 Whisk the flour until the batter is smooth. A few tiny lumps are fine. Pour the batter evenly among the muffin cups of the pan. Completely ignore the dark brown floaties in my batter. 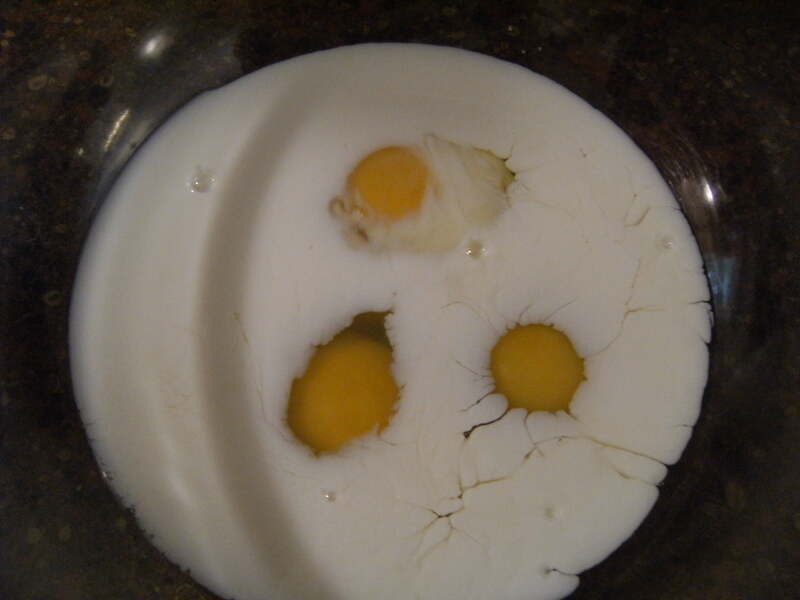 This is what could happen when you put the butter in the oven to melt, and let’s say, for the sake of argument, the doorbell rings. Then let’s say you answer said doorbell, and chat with your neighbor for a few minutes. And then we’ll say that while chatting with your neighbor, you remember that you left butter melting in the oven, so you stop talking mid-sentence and race inside to retrieve it. That butter, for the sake of argument, could have browned in that time. So you’ll call them browned butter popovers. It’ll be fine. Bake the popovers for 22-25 minutes at 375 degrees, or until they are puffed and golden in color. In the interest of name significance, they will “pop over” the top of the muffin cups. Get it? 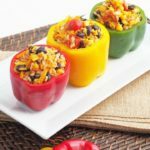 Allow them to cool for a few minutes in the pan, then gently run a paring knife around the edges of the cups to get them our of the pan. Eat one immediately. Blow on it a bit so that you don’t burn your tongue. Then serve the rest of them with a meal of your choice. 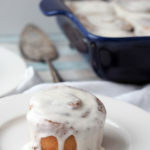 Hey, serve them with cereal if you like–whatever works for ya! My family devours these popovers, but most of the time we still manage to have a few left after a meal. In that case, store them in an airtight container in the refrigerator. Leftover popovers make a lovely breakfast with dollop of jam in the middle and maybe a sprinkle of powdered sugar. Pair that with a steaming mug of chai, and you’ve got 5 minutes of bliss in the morning. Now you know why I call these super easy popovers! A cross between a dinner roll and a crepe, these popovers are perfect to serve with any comfort food dinner. 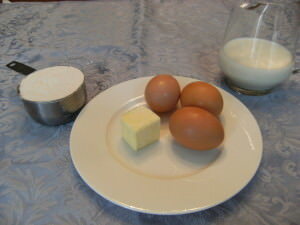 In a medium bowl, beat milk and eggs together. Whisk in flour and a pinch of salt, until well combined. 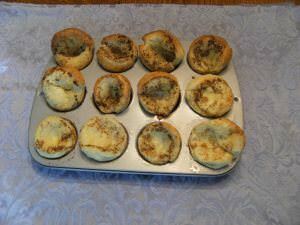 Divide butter evenly among twelve cups in a muffin pan. 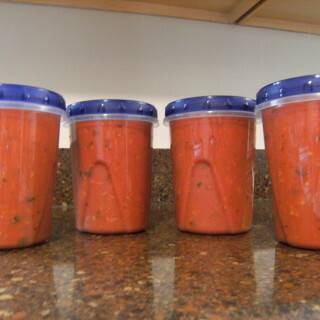 (Cut each tablespoon into 6 pieces <12 pieces total>, or about 1/2 tsp. per muffin cup.) 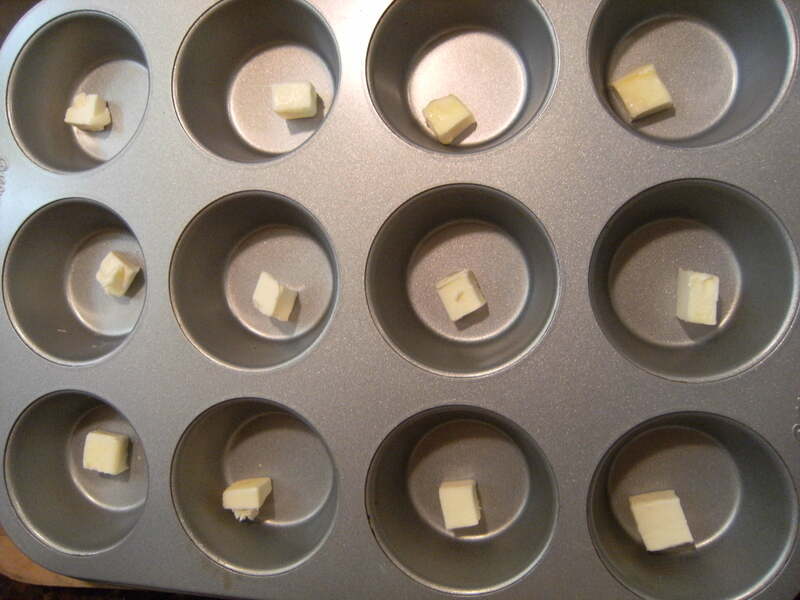 Place the muffin pan in the oven for 2 minutes, to melt butter. 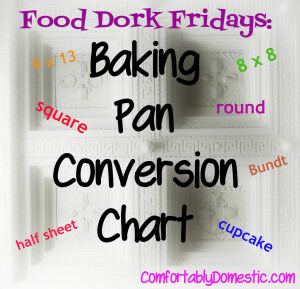 Remove the muffin pan from the oven. 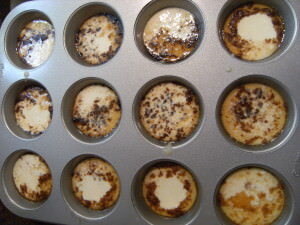 Pour the batter evenly in to each muffin cup. Return the pan to the oven. Bake at 375 for 25 minutes, or until puffy and lightly brown. Allow to cool in the pan for 2 minutes, and then gently run a paring knife around the edges of the muffin cups, to release the popovers. Serve immediately. 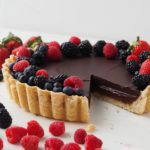 I love love love this, I'm making this for my friends tomorrow such an easy healthy recipe! thank you so much. I've never made popovers. I'm going to play with the recipe this weekend and see how it converts for whole wheat. I'm all in favor of leftovers with a fresh bread or salad to dress it up. ;)Thanks! I just like the name "crumpet." I love popovers! The lightness, the inner cheweyness that's borderline creamy... I always thought the word "crumpet" fit popovers better than English muffins, but apparently I'm alone in that thinking.